HomeGrown Cotton is 100% American cotton grown by family farmers on US soil. It's authentic. It's patriotic. It's darn good. We expressed this spirit in identity and packaging along with a cotton-spangled website. Fun fact: This site won an ACE Award for "Best Website." 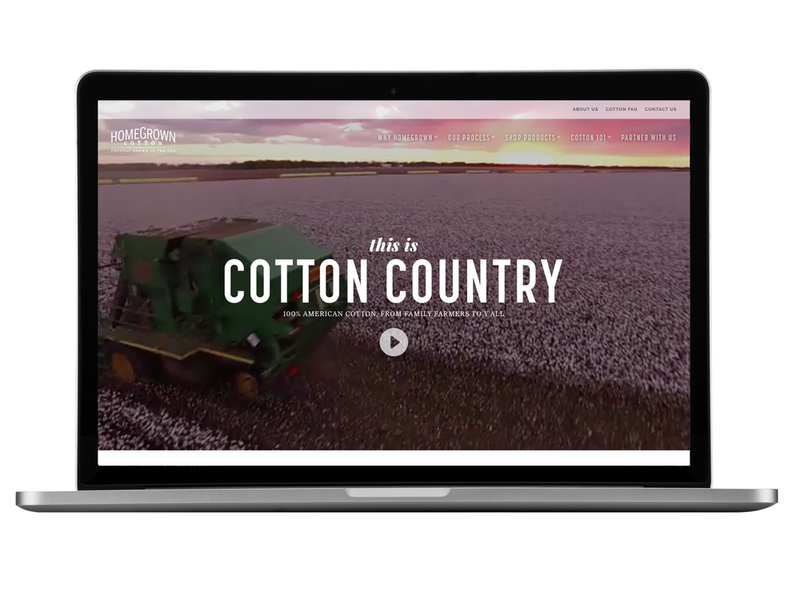 HomeGrown Cotton would be nothing without the hard-working family farmers who grow it. So when the brand asked us to make a brand video, we knew we had to make them the stars of the show. Shot on location in Monette, Arkansas. 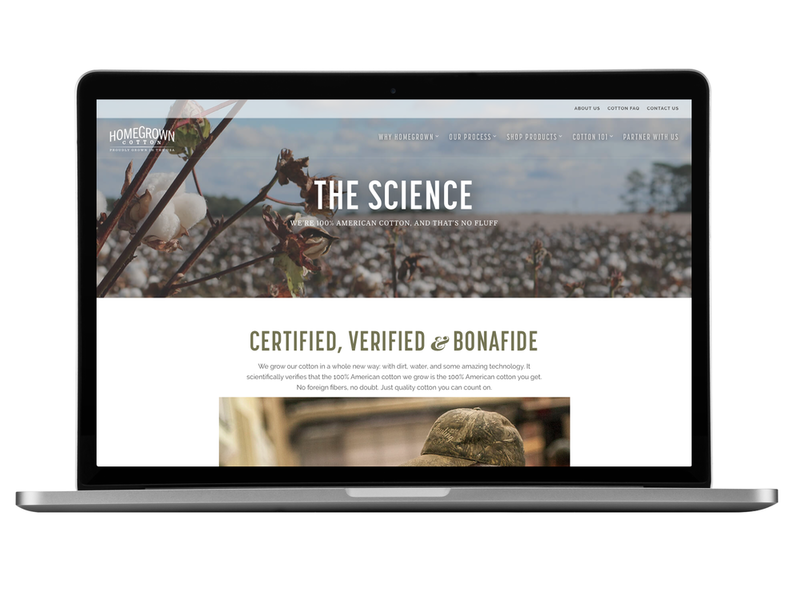 For HomeGrown Cotton's first product partner (Heartland sheets, a Bed Bath & Beyond brand), our package design conveyed the brand's Americana sensibility while maintaining a clear hierarchy of information.